Blog Hop • Scottie's DiaryScottie’s Diary ~ Freedom! I just wanted to express to you all what a relief it is to be free again! I know Mum has been telling you about my imprisonment, so you should all know that I was locked away for almost an entire week! A week! I guess I can kinda understand her reasoning… my foot was quite sore and it wasn’t getting better… and she was following Andrea’s orders… But solitary confinement is never enjoyable is it! I think I coped with the whole situation very well. I walked fairly nicely for Daddy Damian when he was taking me for my twice daily walks. 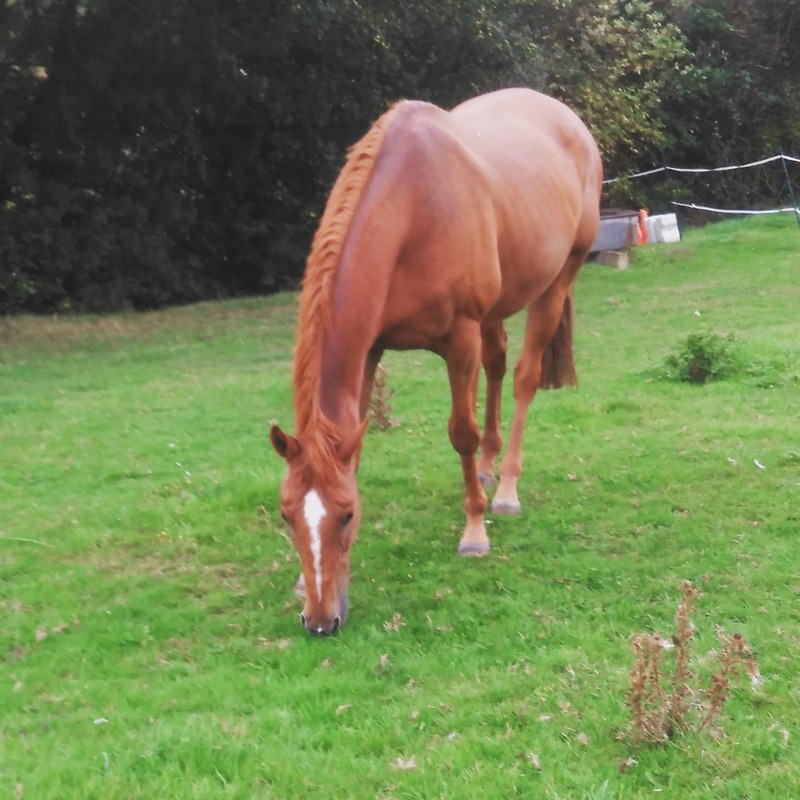 I’m not going to lie, I did jog slightly in the direction of the field and I might have dragged him to the grassy patch a couple of times… But you have to remember that EVERYONE else was out having fun in the field and I was stuck inside by myself. To be fair to Mum, she did make sure I had plenty of hay to munch on. She even hung my nets up in funny places, I think to improve the Fung Shui of the place. But I must say, a haynet above my bed did get in the way and was harder to eat. So I’m not sure what she was thinking there exactly! Mum has also got me testing a new feed! A yummy new chaff from HoneyChop. It’s got extra herbs in it, which makes a nice change from my fairly bland grazing. I think I’ve eaten all the thistles and nettles out there now. Mum said it should also help me watch my waistline… which is apparently something you need to think about! But she will be telling you all about that soon! But I’ve still got some more time off (result) and I’m back out in the field with my buddies. So while my foot is still a tad sore, Mum and Andrea thinks field rest should help that. Life is pretty good right now and hopefully after a bit of a holiday my foot will be feeling better and we can do a few fun things this winter.